2017 Martin Truex Jr #78 Auto-Owners Insurance / Toyota Camry NASCAR diecast, by Action. 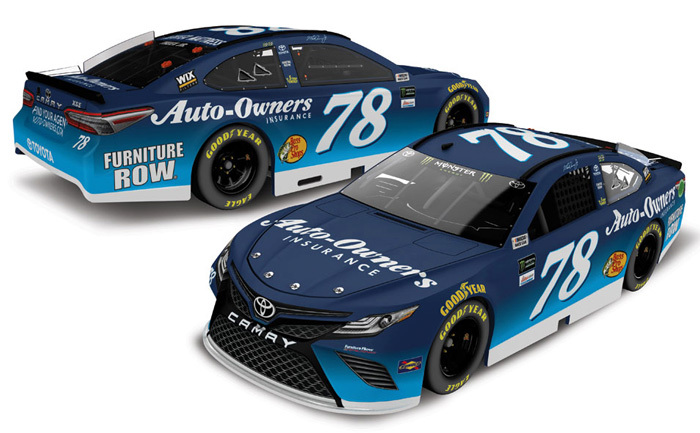 The Furniture Row Racing #78 Auto-Owners Insurance Toyota Camry was raced by Martin Truex Jr in select events during the 2017 Monster Energy NASCAR Cup season. This diecast car will not have the Monster Energy decal on the windshield.